A decade ago, an obscure 16-year-old Chinese pianist made a last-minute substitution for Andre Watts in an overstuffed gala program at Ravinia. The evening turned out to be one of those rare real-life Busby Berkeley moments when the kid really did go out on stage an unknown and come back a star. Following that Tchaikovsky performance, Lang Lang has gone on to international fame and musical superstardom, yet the pianist from Shen Yang has returned every summer except one to the Highland Park festival, as he did again on Sunday night. Public adulation apart, Lang Lang has received more mixed reviews from the musical press. Critics acknowledge his astounding technical arsenal while noting the musician’s tendency to show off, especially with an orchestra behind him, in performances that often leave the music behind in a blaze of speed and souped-up prestidigitation. Yet Sunday night, in Prokofiev’s Piano Concerto No. 3, Lang Lang showed greater interpretive maturity and a more tempered virtuosity—still displaying amazing bravura, but with his playing centered on the music and not mere exhibitionistic display. Not that there is that much depth in Prokofiev’s calculatedly brilliant showpiece written as a vehicle for the composer and given its world premiere by Prokofiev with the Chicago Symphony Orchestra in 1921. If anything, the Chinese phenom seemed almost low-key in the opening movement. Underplaying at times, as if to hold his virtuosity in reserve, Lang Lang threw off Prokofiev’s glitzy passagework with a light quicksilver touch suited to the music’s airy caprice. The soloist was inspired in the concerto’s fleeting rumination, as with the opening movement’s meditative second subject and, especially, the theme and variations of the middle movement. Witness the delicacy of his glissandos in the first variation and the otherworldly expression he brought to the falling thirds of the fourth, rendered with a chiseled pointillist cool, well suited to the music. Lang Lang showed once again when it comes to fast playing with faultless articulation, he has no peers . The spiky virtuosity of the finale was as thrilling as it gets, the pianist flying through the cluster-note arpeggios and assorted landmines, conductor and soloist ratcheting up the volume and intensity to a frenzied fury and resounding coda. Eschenbach and the CSO were completely simpatico partners, forcefully bringing out the music’ rhythmic oddities and underlining the mordant sarcasm. After his gracious speech, Lang Lang offered an encore of the lovely Chinese song The Moon is Chasing the Clouds, played with limpid cascading expression like a gently flowing stream. During his tenure as Ravinia’s music director from 1994-2003, Eschenbach proved a consistently inspired musician and extremely skilled at eliciting outstanding performances on short summer rehearsal schedules (having the CSO as house ensemble doesn’t hurt). Such was the case with the fiery, finely detailed performance of the Symphonie fantastique after intermission. Eschenbach is an interpreter in the Solti style—-firmly pointed accents and rhythmically incisive—yet his take on Berlioz’s phantasmagorical symphony was as elegant as it was exhilarating. The March to the Scaffold lacked nothing in brassy swagger and the Witches Sabbath finale came off with the necessary frenzied exhilaration. Berlioz’s epic is so often played for orchestral flash and sheer volume that the more subtle scoring details tend to get lost. 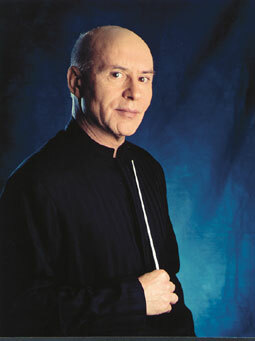 Eschenbach and the CSO made the more restrained passages register as well, with a notably graceful and ballet Un bal. The Scene aux champs can seem overextended even in good performances, but Eschenbach’s direction made the movement a highlight, judging the ebb and flow sensitively and eliciting stellar wind playing with particularly evocative oboe and English horn contributions. I have seen Lang Lang in performance at Ravinia for many years and never cease to be disappointed, since his rushing through the Grieg piano concerto several summers ago, to the Prokofiev you reviewed above. The only time I felt satisfied by his performance was in Gershwin’s “Rhapsody in Blue”(last season?) in which he finally played it with feeling, although jazzing it up a bit, which actually added something to the performance. We saw Mariangela Vacatello play the Prokofiev 3rd at the Cliburn in June, a performance which was so beautifully played that I was left in tears. I wish Lang Lang could have played it half as well as that. I agree that Lang Lang is an exceptional pianist with unparalleled technique, but needs some control to be really great. During the rehearsal of the Pk 3, it was reported that Eshcenbach had to ask Lang Lang to slow down because the orchestra would not be able to keep up in later segments.